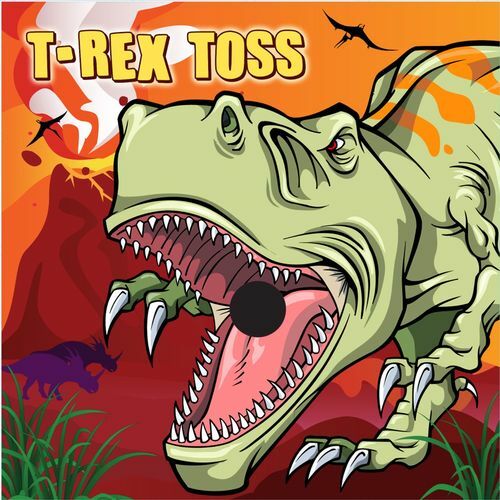 T-Rex Toss is a carnival game that is popular with kids because kids love dinosaurs. 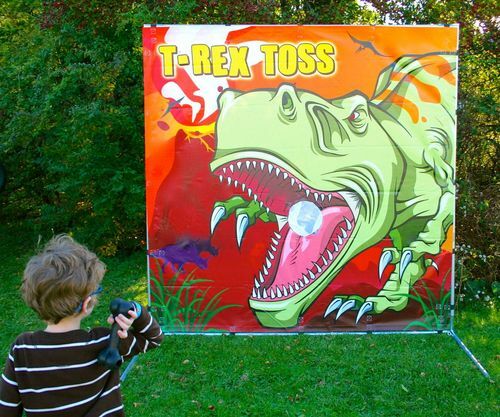 The goal of the game is to toss the steaks into the T-Rex's mouth. This game can be set up in less than 5 minutes and can be used indoors or outdoors.